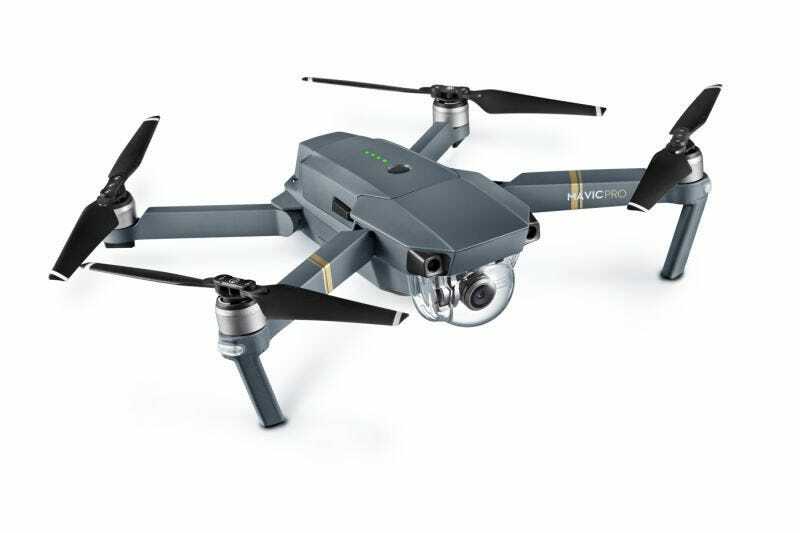 Despite DJI’s promises that shipments for its new Mavic Pro drone were underway, very few drones have made their way to customers. Last week, we wrote about the shipping delays plaguing the drone. Hours after we published our story, DJI released a statement announcing that shipping had begun. But according to customer reports and leaked company communication, only a small fraction of the highly-anticipated $1000 UAVs on backorder have shipped. We’ve heard from a number of irate Mavic Pro buyers who confirm that not only have their drones not been shipped yet, they can’t get updated information from DJI on when to expect them. DJI resellers are having a hard time getting units too. Gizmodo obtained an email sent to a DJI distributor from a member of the global sales and marketing team at DJI. Please try your best to convince your customers to stick with you, don’t cancel their preorders. IF they head to DJI official store for it now, they will have to wait much much longer to get it because there are hundreds of thousands of preorders in line on DJI official store now and they will have to take care of it for the whole globe. Sorry for the inconvenience and I will try my best to ship out orders as soon as possible starting from Oct. 25th. In other words, a DJI representative is telling vendors that DJI only started shipping some units to “comfort the market,” which is a fancy way of saying the shipments were a way to assuage customer concerns about delays and poor communication. It’s always possible a DJI rep is telling one vendor one thing, just so she can get more product to someone else. Still, it looks bad when even vendors are getting the runaround and can’t get specific information about shipping dates. DJI declined to confirm the veracity of the email, or to comment on its contents, but it did confirm that the marketing representative was an employee of the company. Hundreds of DJI customers are using this shared Google Spreadsheet to track orders and shipment status. Of the 525 customers who had placed orders at the time of publication, only 25 had actually received their units. One rumor on a Mavic Pro forum suggested that 50 units had shipped to customers, but a DJI spokesperson told Gizmodo that figure was completely untrue. “We haven’t released shipping data in the past and we aren’t going to start now,” the spokesman told me, “but I can guarantee you far more than 50 units have shipped.” DJI did confirm that full production of the Mavic Pro has not started but said the company was doing everything it could to get production ramped up as quickly as possible. Meanwhile, stores that are supposed to be carrying the Mavic Pro are pushing back availability dates too. The Mavic Pro was supposed to hit Apple retail stores on November 2. But if you try to place an order now, shipment dates have moved 6-7 weeks with in-store pickup not projected until December 16th. I’ve spoken to a number of Mavic customers and all have repeated to me that the worst part of this entire ordeal is having no information on when they will get their unit. They could deal with a delay if they just had an honest assessment of when their drones would arrive. To add insult to injury, preorders that took place through DJI were charged as soon as the orders were received. That means DJI has received tens of millions of dollars from customers who still don’t know when their product is going to ship. Fed-up customers report that cancelling orders is a nightmare too. Not only do you have to do it through DJI’s web chat (which often has long wait times), anyone who ordered from the United States faces a $50 charge for currency exchange rates because DJI is based in China. Right now it’s clear that DJI isn’t going to get Mavic Pro drones out to customers as quickly as it had planned. Unfortunately, it seems the company is unwilling to be upfront with customers about their screwup.